How to Convert AMR to MP3 with The Best AMR to MP3 Converter? You probably have several files with the .amr extension on your smartphone or MP3 player. AMR is a file format that a lot of mobile handsets use to store spoken audio. And a lot of audio players and smartphones can play an AMR file without needing a specific app. If you want to convert AMR file to MP3, then you are going to need a specific audio converter. There are a lot of options for doing that. Options include an audio converter program and an online video converter. Here I would show you how to convert AMR to MP3 with two kinds of AMR to MP3 converters. The AMR to MP3 Converter software I’m using is called Leawo Video Converter. It’s a all-rounded video and audio converter that can convert almost all kinds of video and audio files between different formats. You can easily convert AMR to MP3 using this audio converter. And it’s fairly easy to use. It’ll only take a few simple steps to convert AMR file to MP3 using this program. Here’s how to use this ARM to MP3 converter to convert AMR to MP3. Step 1. Import source AMR files to the converter. Launch Leawo Video Converter after installation. Note that the program is included in a software package called Prof. Media. Just open it and select Video Converter from the interface. After launching the program, click on the Add Video button in the upper left-hand area to import AMR files to the program. You can also add AMR video by directly dragging the files to the interface of the program. Step 2. Select MP3 as the default output format. After adding the source AMR files to the program, the next thing to do is to set MP3 as the default output format. You should see a green Convert button in the upper right corner, there’s a button to the right of that Convert button, just click on it and on the following menu, click on the Change button in the middle to go to the Format selecting page. Find MP3 and select it to set it as the default output format. Step 3. Adjust the parameters of the MP3 format. If you like, you can go to settings again and customize the parameters of the MP3 format you’ve chosen. Click on that button on the left side of the green Convert button again and click that Edit button on the menu and you will enter the Profile Settings page where you can make adjustments to audio parameters like Bit Rate, Sample Rate and Channel, etc. Step 4. Start converting AMR to MP3. Go back to the main interface of the audio converter. To start converting AMR to MP3, click that green Convert button and you will see a sidebar coming up from the right side of the file list. You can change the default output path on the sidebar. To begin the AMR to MP3 conversion, click the Convert button that locates at the bottom. If you only have limited number of AMR files to convert, an online AMR to MP3 converter is also a good choice. There are a lot of online video and audio converters and basically all of them are free. The drawback of an online audio converter is that you will have to upload and download your file every time you do the conversion, which could be exhausting if you are converting a certain number of files. And that’s why I recommend this as a backup plan. In the content below, I will be converting AMR to MP3 on filezigzag. 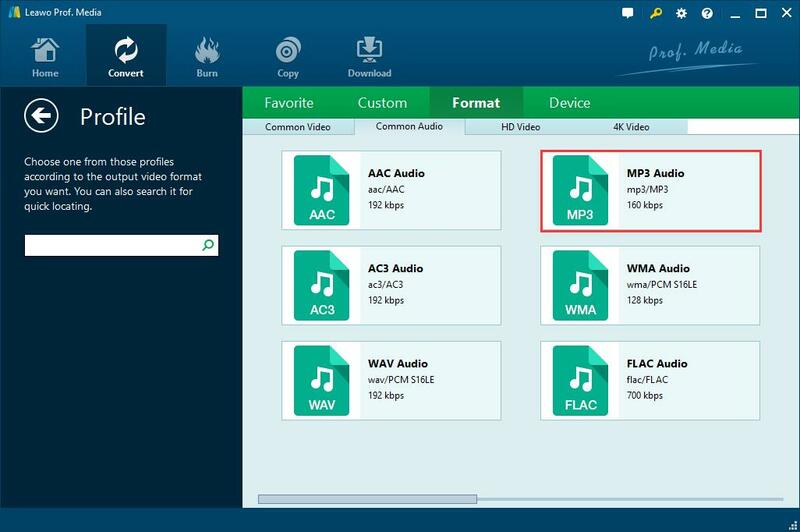 Here’s how to convert AMR file to MP3 with an AMR to MP3 converter online. 1. Open the website of filezigzag with your browser. 2. Click the Select button or drag your AMR file to the website to upload your AMR files to it. 3. Click the option box under Convert to and then choose MP3. 4. Enter your email address in the next box for receiving the link of the converted file. 5. Click Convert and wait for the link to be sent to your email. It’s extremely easy and intuitive to use Filezigzag to convert AMR to MP3 and the best part is that it’s free. So if you are just converting a few AMR files, then you should probably go with this AMR to MP3 converter online. But if we are talking about massive AMR file conversion here, then Leawo Video Converter is undoubtedly the better option for the job. 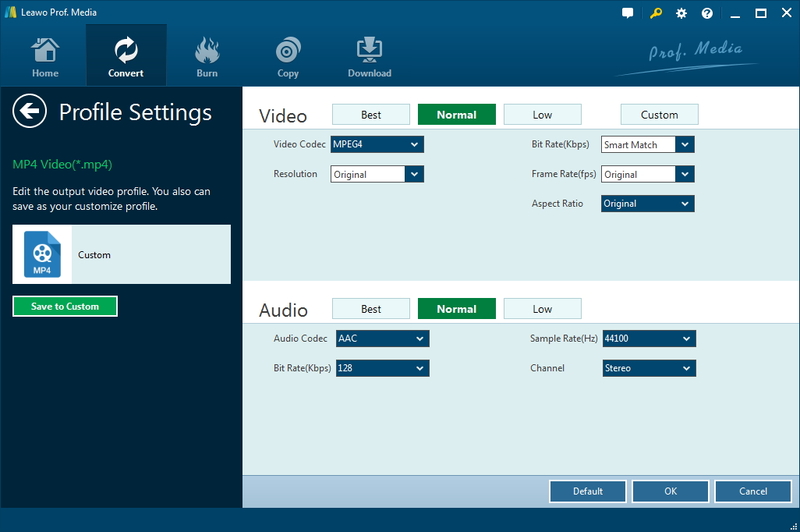 With Leawo Video Converter, you can easily convert videos and audio files between all kinds of formats. You can even use it to convert 2D movies to 3D. You can have fun with it.